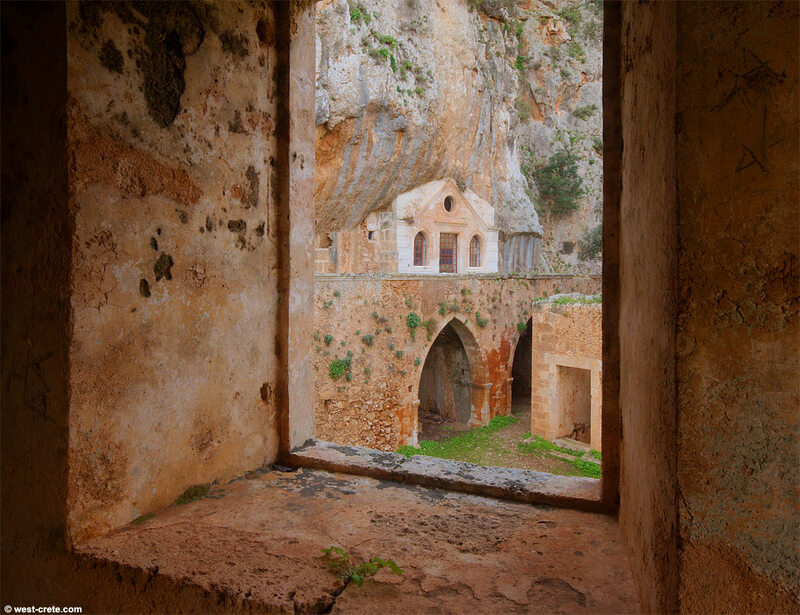 The ruined monastery of Katholiko is about 20 minutes walk from the monastery of Gouvernoto. At the moment it is very green (the sun hardly gets there in winter) and very quiet. This photo is taken looking out of one of the windows.